An investigation by Oregon State Police Lottery Security Section detectives has led to the arrest of a Springfield man who allegedly stole a winning $50,000 scratch-it ticket from the victim at a Springfield restaurant. The suspect was arrested when he came to lottery headquarters to claim the $50,000 prize. 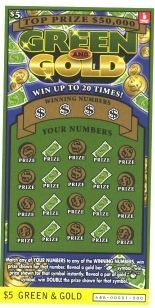 Oregon State Police was contacted by the victim, a 37-year old Kooskia, Idaho resident, on December 26th, reporting the theft that day of a winning Oregon Lottery scratch-it ticket. Lieutenant Gregg Hastings with OSP says a state police Lottery Security Section detective responded to begin an investigation. "The victim reported that on December 26th she was dining with her son at the Denny's Restaurant located at 987 Kruse Way in Springfield. The victim stopped for lunch before driving to Oregon Lottery Headquarters in Salem to claim her prize on a winning $50,000 'Green & Gold' scratch-it ticket she had purchased two days earlier at a Stanfield, Oregon truck stop." Hastings says the victim brought the lottery ticket in a notebook into the restaurant. "Upon finishing their meal the victim and her son left without the notebook and returned about fifteen minutes later to retrieve it, but the table had been cleared and the notebook was gone." The victim contacted restaurant management but was unable to determine where the notebook had gone because no one reported turning it in, says Hastings. "The restaurant employee who cleared the table, identified as 41-year old Charles Michael Dizick of Springfield, denied seeing or taking the notebook." Then the next day, Hastings says a 21-year old Eugene man presented the stolen ticket at Oregon Lottery to claim the prize. "OSP Lottery Security Section Detective Gregg Tullius contacted the man about his possessing of the stolen ticket. 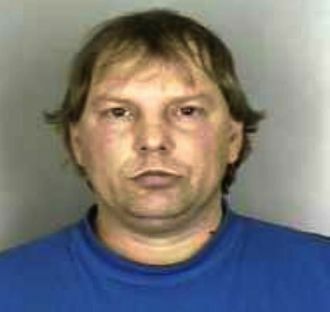 The investigation determined suspect Dizick contacted the man and asked that he go to lottery headquarters with him to claim the prize because Dizick told the man he owed back taxes and child support." Dizick came to lottery headquarters with the man and two other people, Hastings said. Subsequent to further investigation and interviews, Dizick was arrested for Aggravated Theft in the First Degree. Dizick is scheduled to appear in Lane County Circuit Court on January 29th at 9:00 AM. Hastings says the three other persons who accompanied Dizick to Lottery Headquarters were not arrested. The good news is that the victim reportedly has claimed her cash prize and returned to her Idaho home. Now Dizick faces a charge of Aggravated Theft in the First Degree, a Class B felony punishable by a sentence of up to 10 years in prison and/or a fine up to $250,000.00.